You may know him as the big guy in a red robe giving out presents, but that is not the only trick up St Nicolas’ sleeve. Reknown bishop of Greek city Myra is also a patron saint of sailors, reputed to help out those who are caught in dire straits at the sea. In his celebration – and truly in his spirit – Boataround offers you St. Nicholas’ discounts for some great boats in Croatia, Italy and Spain. St. Nicolas is known for delivering swift help to sailors in dire need of assistance. In that matter, he and Boataround’s customer care have much in common. Although very little is known about the actual life of Nicholas of Myra, this religious figure from 2nd centure AD quickly became one of the biggest legends in Europe. So big, that his red bishop coat inspired the traditional image of Santa Claus, gift-giving resident of the North Pole. Actual Nicholas of Myra was less likely to drive a sleight pulled by reindeer and more likely to be scaling the sea in a boat, for he was living in ancient Greece and was known to travel a lot, especially to Holy Land. Story goes that one one of his voyages, the ship was nearly destroyed by a terrible storm, but Nicholas rebuked the waves and caused the storm to subsite. Because of this miracle, Nicholas later became patron saint of sailors. Not even darkness of night can stop the good work done by St. Nicholas. 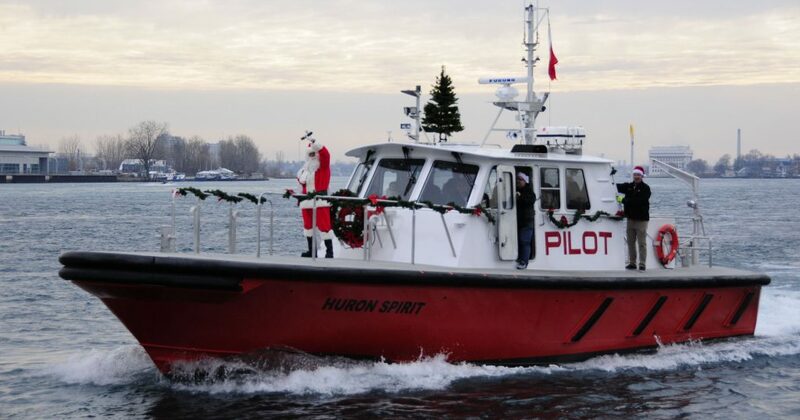 When he doesn’t ride a reindeer-pulled sleight, he skippers any sailworthy boat in his quest to bestow kids everywhere with a gift. St. Nicholas’ fame has grown way beyond Greece or Europe. 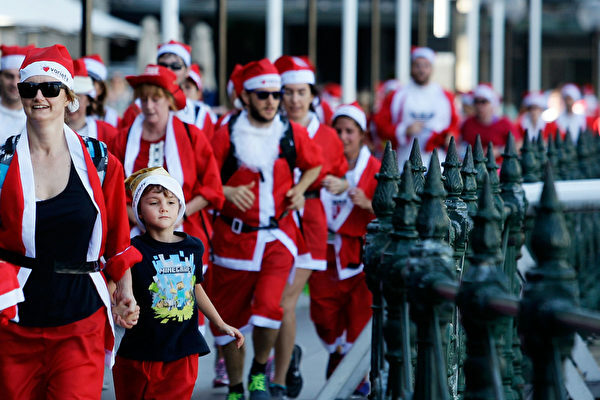 Long-standing tradition of Santa Claus run for charity takes place every December in Sydney, Australia. Thousands of fans run clad in typical Santa Claus attire – red hat, cloak and some even spring a round belly out in their best attempt to celebrate St. Nicholas. Thousands of St. Nicolas fans join the 10th annual charity Santa Claus run in Sydney, Australia. If only they knew they could’ve easily cover the same distance on a yacht. Not everyone has a fan of this healthy approach to celebration. In Amsterdam, Netherlands, Saint Nicholas arrives on a deck of a ship, surrounded by his servantns. His arrival to city center is accompanied by a festive parade. Hundreds of thousands of children greet the procession and five tons of candies are given away. Saint Nicholas and his little helpers approaching Amsterdam, Netherlands with five tons of candy. Dreams of every child and dentist are coming true on this day. 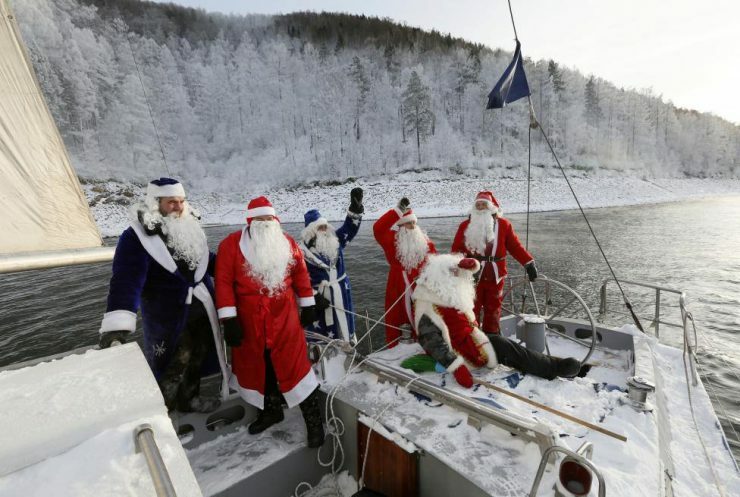 In the spirit of Saint Nicholas, we want to celebrate all sailors who booked a yacht with us! Our industrious Boataround elves found these great discounts that you can apply in the name of St. Nicholas. Watch out, most of them are only valid if the reservation is confirmed on St. Nicholas Day – December 6th, 2018. So get ready, set – book! 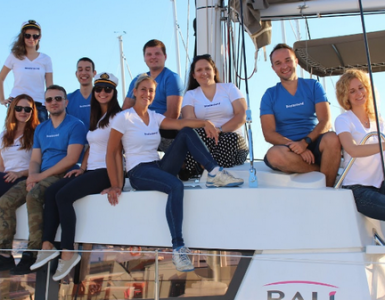 Majka Yachts 10% 6. 12. Full Team 10% til 16.6. and 5% all periods for 4 and more cabins 30. 11. – 6. 12. Sunlife Charter 5% till mid-June, 3% September 6 .12. Master Yachting 5% 6. 12. 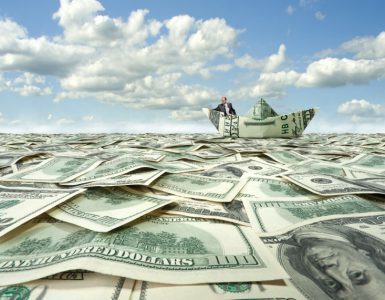 Veritas Yachting 5% 4. 12. -10.12. Nautic Adria Yacht Charter 5% 30. 11.-10. 12. Euromarine 5% for all bookings till 31.8.19., except for SY 18/19, Lagoon 450F Orlando, SunFast 26 Cicoco, Prestige 520F, Jeanneau 53, Sun Odyssey 509 6. – 7. 12. Veritas Yachting 5% 4. 12.-10. 12. Free Wave 5% 6. 12. Helios Stratos 5% 6. 12. Sessa charter 5% 6. 12. Ban Tours Yachting 5% 6. 12. Reful Yachting 5% 6. 12. 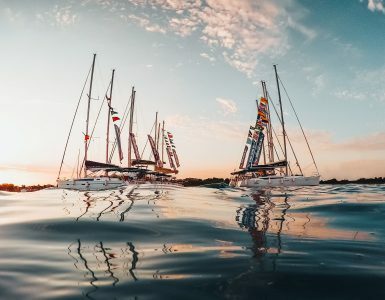 Sail Croatia Net 5% 3. 12.-6. 12. Croatia Yachting 5% on all Biograd boats 4. 12. – 10. 12. ASC Yachtin Gomar 4% and free parking or free outboard engine 30. 11.-9. 12. Nautika Kufner 2.5% 6. 12. Albatros Yachting Croatia 2% 6. -7. 12. Noa Yachting 2% 6. 12. Aba Vela free outboard engine 6. 12. North Sardinia Sail 15% 6. – 8. 12. Charter company What discount? When? Spartivento 25 % 4. – 8. 12. VC Yachts 20% with early reservation 6. – 10. 12. 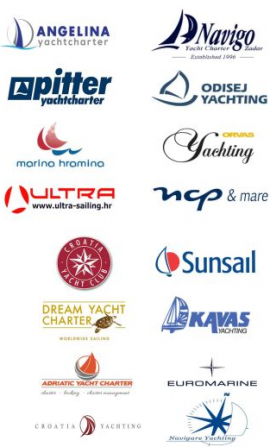 Istion Yachting extra 5% for sailing yachts above 45ft and all catamarans until 20th April 6. – 10. 12. We hope these discounts inspire you to celebrate St Nicholas Day in his spirit and book yourself a merry little yacht. 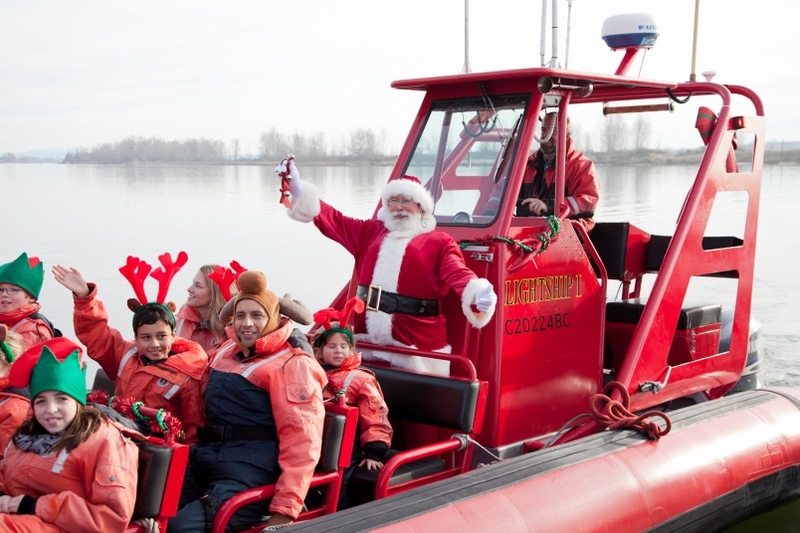 🎄 In case of any questions, do not hesitate to give our Boataround elves a shout and contact us at info@boataround.com or at +443300270087. 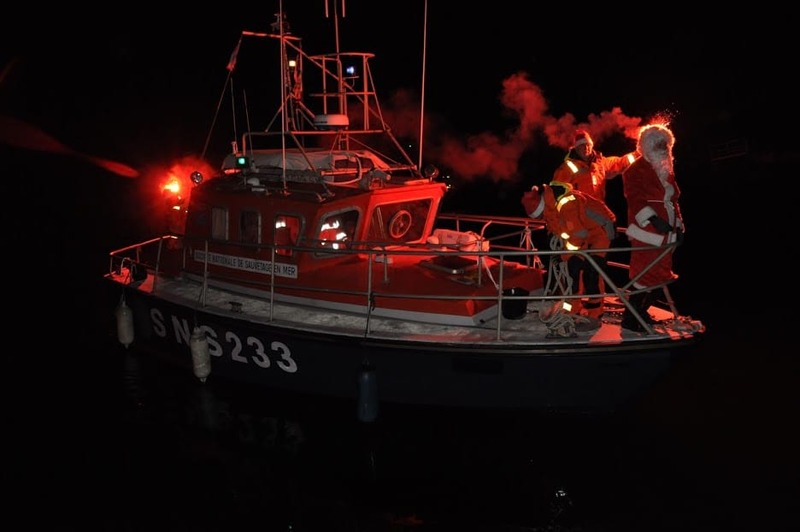 Merry St. Nicholas Day to all of our sailors! We wish you keen winds under your sails and great discounts in your yachting future.